​Qualifying for the Euro 2020 championships starts on Wednesday with a new format awaiting the 55 competing countries as they vie for a spot at next year's tournament. A number of changes have been made this time around and here we examine all those alterations ahead of 16th edition of the European Championships. ​The first round of qualifying for the competition will take place between 21/23 March 2019, with the final qualifying matches happening on the 17th, 18th and 19th of November 2019. How many teams qualify for Euro 2020? One of the major differences this time around is the introduction of the Nations League, which has ramifications on qualification for next year's tournament. The 16 teams who won their three or four-team groups in the Nations League last year guaranteed themselves a Euro 2020 play-off place, which will be against teams of a similar level - if they fail to finish in the top two places in these upcoming qualifying groups. The likelihood, however, is that some of these countries will qualify automatically for Euro 2020. If that is the case then the next best team in their Nations League tier (based on group positions, points and goal difference) who don't qualify automatically themselves will take their play-off place. These are the teams guaranteed a play-off place at least. 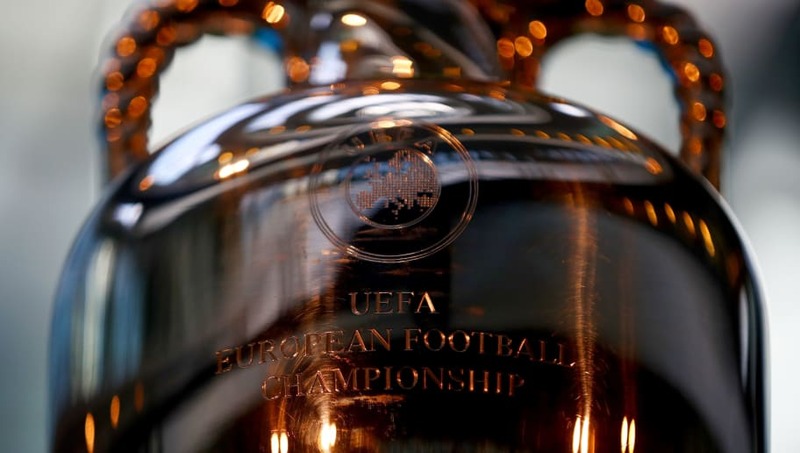 Furthermore, due to their exploits in the competition, the Nations League finalists (England, Portugal, Switzerland and the Netherlands) are not in action on matchday two or three in June 2019 as the finals of that tournament will take place during those dates - however the results of these matches will have no impact on Euro 2020 qualifying. Which group is England in? ​England were top-seeded heading into the qualifying, and as a result were handed a favourable draw with the Czech Republic, Bulgaria, Montenegro and Kosovo. Interestingly, England have never faced the Czech Republic, since it was formed, in a competitive match and will also face off against newly formed Kosovo for the first time. In ten matches against Bulgaria, the Three Lions have yet to taste defeat, winning six and drawing four of their encounters. The most recent of those clashes was a 3-0 away win in September 2011. The four meetings between England and Montenegro have also seen Gareth Southgate's side go unbeaten, three draws and a 4-1 win in 2013 rounding off the previous encounters. What groups are the other home nations in? Unquestionably it was Northern Ireland who were handed the toughest draw, facing the Netherlands and Germany alongside Estonia and Belarus. Germany were the ones nobody wanted to face after they dropped into pot two, while a resurgent Netherlands will now be regarded as the favourites to win the group, making it remarkable if Michael O'Neill's side were to somehow qualify. The Republic of Ireland were placed in an interesting group for Euro 2020 qualifying, leaving Mick McCarthy with the prospect of facing Switzerland, Denmark, Georgia and Gibraltar. Switzerland are perennially an under estimated side, as showcased in the Nations League, while Denmark boast the talents of ​Christian Eriksen in their ranks. Wales will fancy their chances of at least finishing second in their group after they were drawn against World Cup finalists Croatia, as well as Slovakia, Hungary and Azerbaijan. The results under new boss Ryan Giggs have been indifferent thus far but the Welsh boast some exciting young talent amongst their ranks and, of course, ​Gareth Bale. Scotland were drawn into a potentially problematic group ahead of their qualification campaign, facing daunting clashes with both Belgium and Russia. On top of that they face fourth seeds Cyprus while Kazakhstan will provide a long trip for Alex McLeish's side. Their chances of success could hinge on the breaking down stubborn sides Cyprus, Kazakhstan and their final opponents San Marino, and hoping for draws against the group's big boys. ​Where will Euro 2020 be played? ​Next summer's European Championship will look a lot different to previous versions of the competition, with the locations of the matches posing one of the biggest differences. For the first time, the 2020 edition will be played out across Europe, with games in 12 different countries. Prior to this tournament, we had only seen a maximum of two host nations, as with Poland and Ukraine in 2012 and Austria and Switzerland in 2008. As there is no host nation(s), it means no team automatically qualifies this time around, with the games to be held across London, Glasgow, Dublin, Rome, Baku, St Petersburg, Copenhagen, Amsterdam, Bucharest, Bilbao, Munich and Budapest. Wembley holds the honour of hosting seven games - three group matches, one last 16 tie, both semi finals and the final. Elsewhere in the UK, Glasgow's Hampden Park and Dublin's Aviva Stadium will host last 16 matches and three group games, with every host country that qualifies playing a minimum of two games at home. This year for the European Championships, the format will remain the same as Euro 2016 - six groups of four teams, with the top two and the best four third-placed teams going into the last 16.